Today we have launched our new website presenting the new MailStore corporate design. The key element of the optimized internet presence is the new company logo – which comes with a clarity of shape, a dynamic designing and the catchy MailStore colour scheme. Take a look at www.mailstore.com and enjoy! We also would appreciate your feedback. But the MailStore webpage is not only offering a new design, but also optimized content and a user-friendly structure. New whitepapers are available as well as technical background information. The access to the website is possible by choosing a certain product – or solution-oriented: Single market segments are focussed as well as the most important fields of application for an email archiving software. 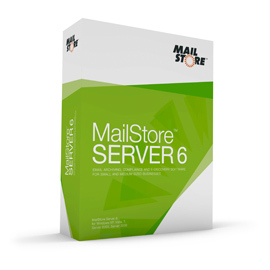 The clear and contemporary design, the high usability structure and the new content are now online following www.mailstore.com.